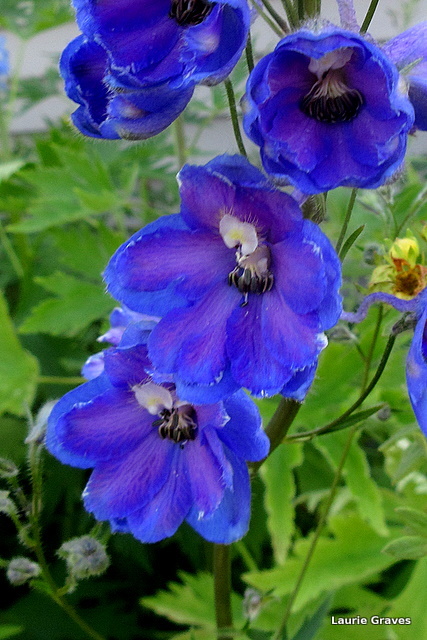 My favorite color delphinium – it’s beautiful! Thanks, Eliza. From a friend’s garden. Not enough sun at the little house in the big woods to get such beautiful delphiniums. Thanks, Judy! I, too, think they have a painterly look. Such a vivid, lovely blue. I love blue flowers. The blue on this Delphinium is fantastic. I have the wild Tall Larkspur – the flowers are a lot smaller. That’s as blue as you can get. Gorgeous shot.